Nuclear fusion is the same process of what happens to hydrogen gas in the core of the Sun. Hydrogen gas gets squeezed into four hydrogen nuclei combine to form one helium atom; thus, nuclear fusion is created. 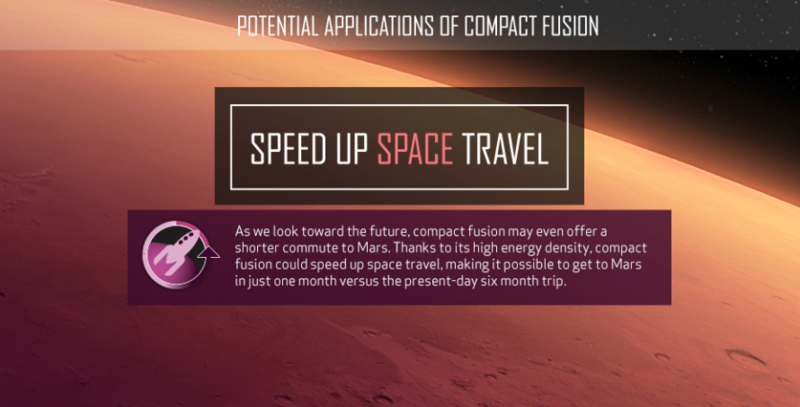 As the technology advances, the size of the fusion reactor shrinks. 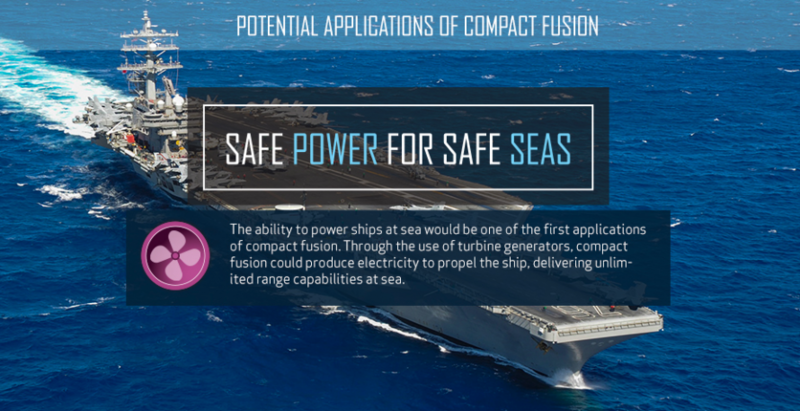 Lockheed has dropped the bombshell and indicated the reactor could be ready to mount on “a truck, aircraft, ship, train, spacecraft, or submarine.” Across the board, Lockheed could revolutionize the transportation industry in the very near term. Patent FIG. 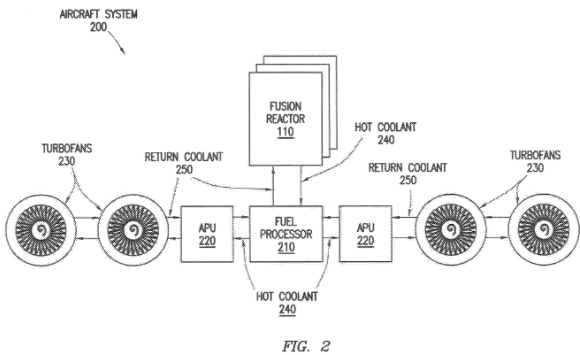 1 illustrates example applications for fusion reactors, according to certain embodiments. Patent FIG. 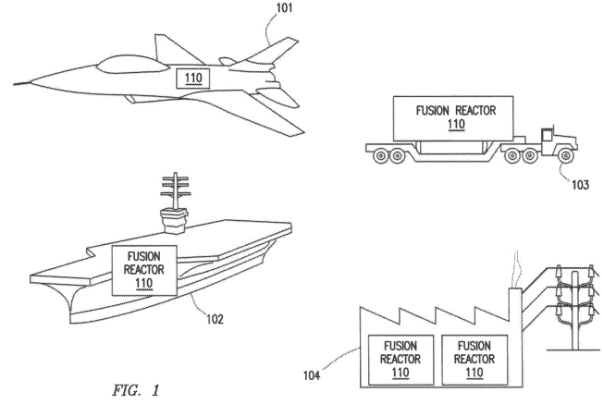 2 illustrates an example aircraft system utilizing fusion reactors, according to certain embodiments. Patent FIGS. 3A illustrates an example fusion reactor, according to certain embodiments. Patent FIGS. 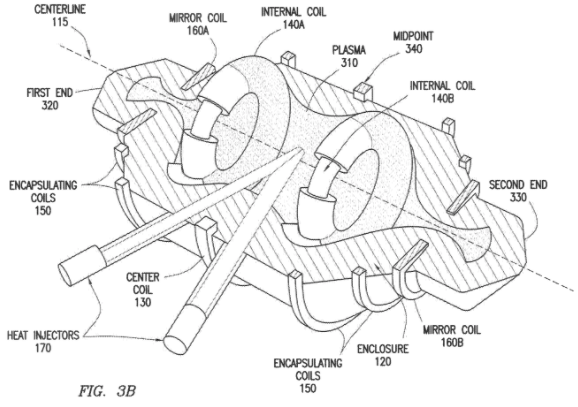 3B illustrates an example fusion reactor, according to certain embodiments. 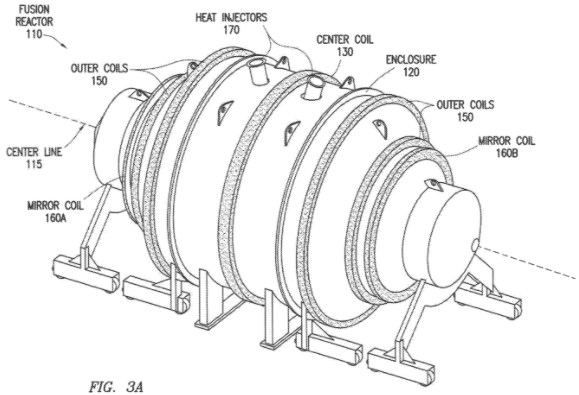 “Patents for the reactor were filed in 2014 by the company’s advanced research division, Skunk Works, with the aim of having its compact fusion reactor (CFR) ready by 2019. While it has obviously missed that deadline, the delay does not mean the technology is to be left behind. 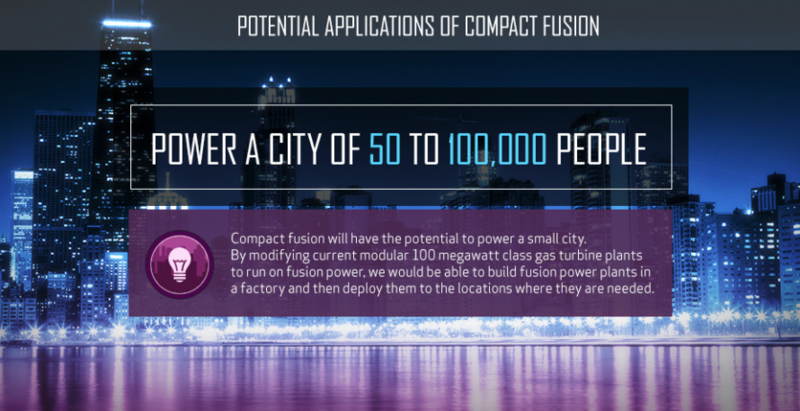 As Dr. Thomas McGuire, head of Skunk Works’ Compact Fusion Project, detailed in a 2014 report, the smaller reactor is more feasible than a large-scale one. 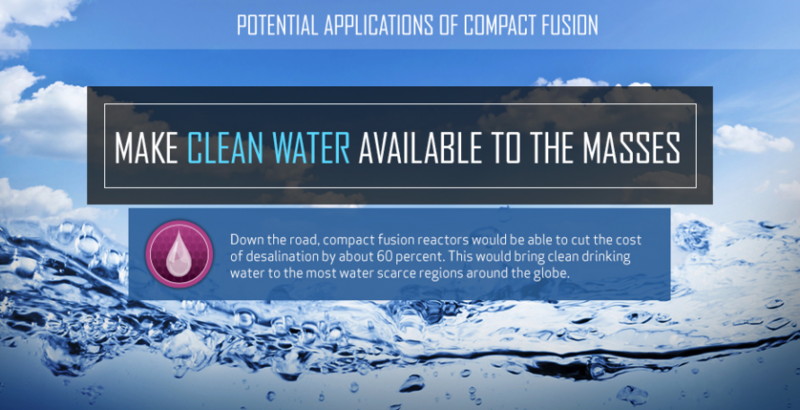 If the system functions as expected, the CFR could take 11kg of fuel in the form of the hydrogen isotopes deuterium and tritium, and run the reactor for an entire year without needing to stop. 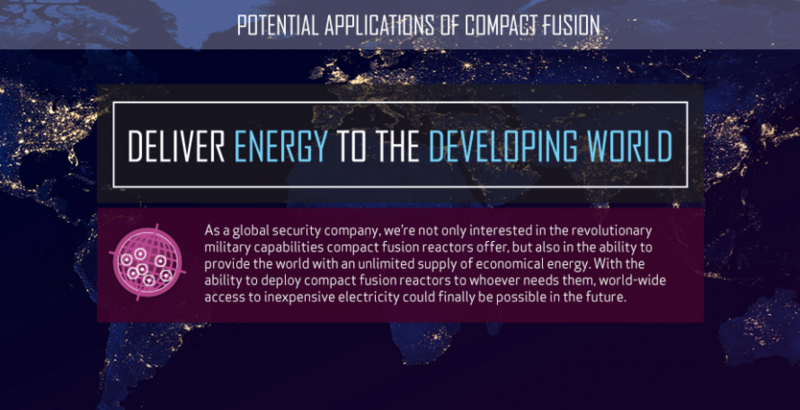 While a nuclear fusion powered fighter jet would certainly change the board game of geopolitics, factor in the hypersonics technologies and high energy weapons, and the high-tech weapons for the next global conflict have already been identified. To be sure, the global superpowers realize that the first to possess these technologies will not just revolutionize their civilian and military programs, but will also dictate the future path for civilizations on planet earth, as such the new arms race is on, just not in the same weapons that defined the first cold war.